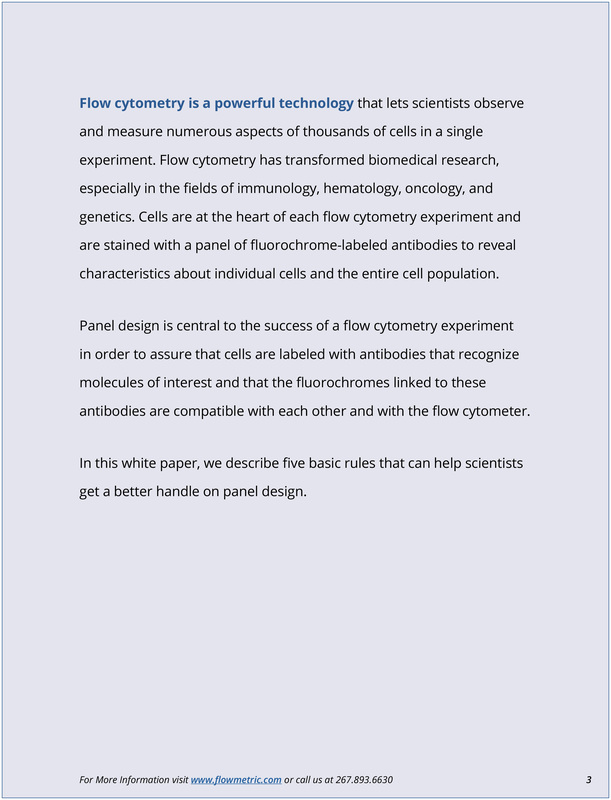 Flow cytometry panel design has transformed biomedical research, especially in the fields of immunology, hematology, oncology, and genetics. 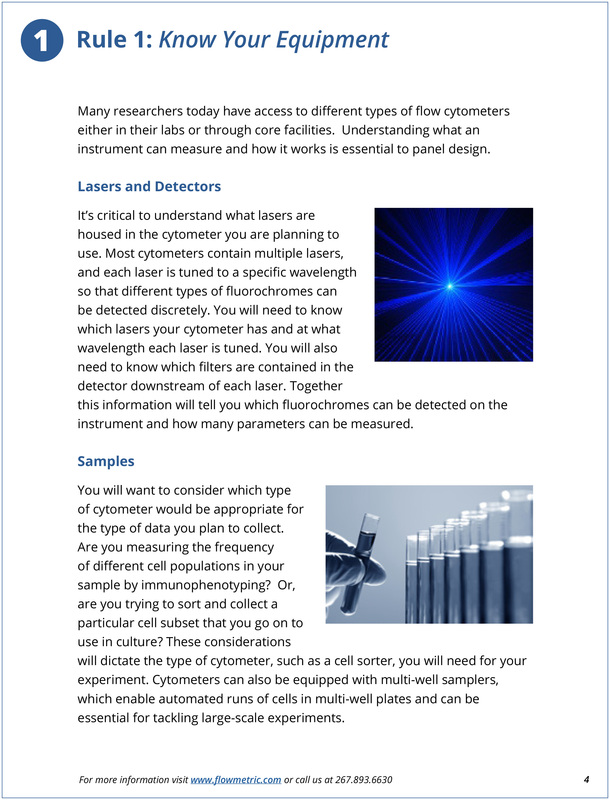 Cells are at the heart of each flow cytometry experiment and are stained with a panel of fluorochrome-labeled antibodies to reveal characteristics about individual cells and the entire cell population. 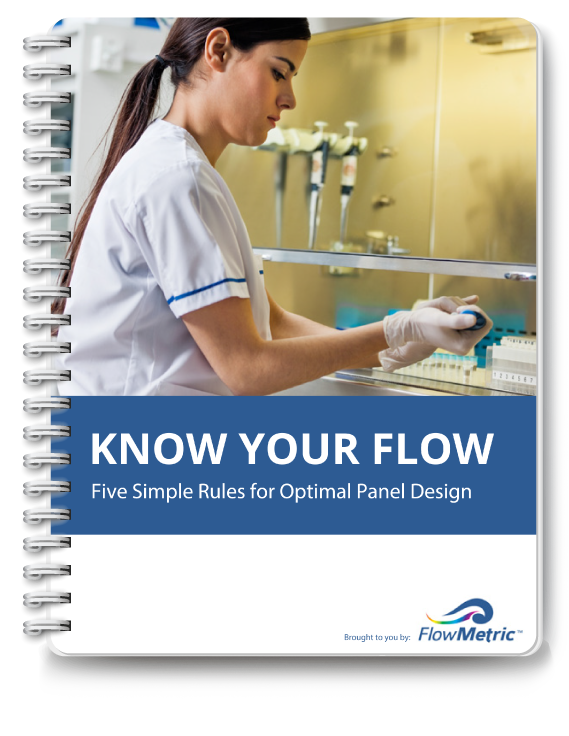 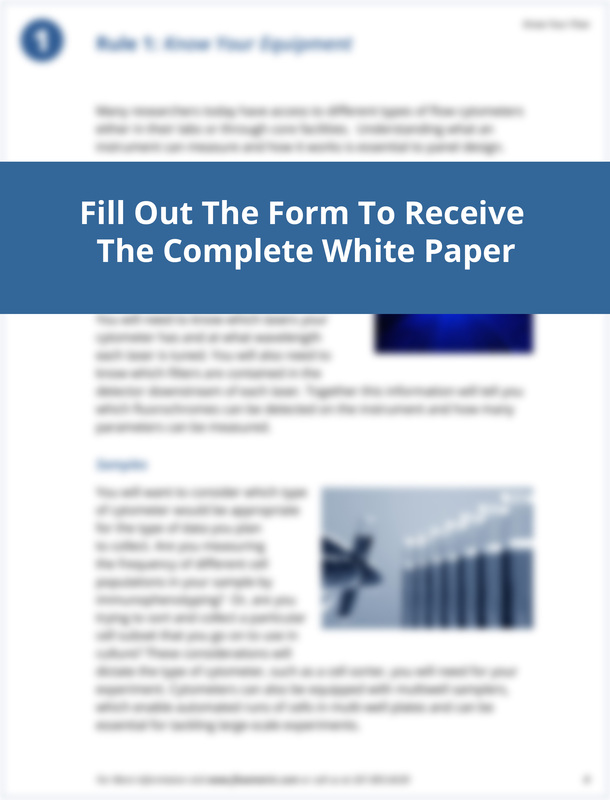 In this white paper, we describe five basic rules that can help flow cytometry users get a better handle on panel design.